Jack Lee Lockard, Sr., 62, of French Lick, Indiana, passed away on Tuesday, December 4, 2018. He was a “jack” of all trades who loved boating and fishing. Jack worked for 37 years as a truck driver until his retirement. He was a devoted husband, father, brother, and grandfather and will be deeply missed by all that knew him. He was born on February 24, 1956, in Pontiac, Michigan, to the late Tilmon and Ersel Maydean (Lindsey) Lockard. Along with his parents, he is preceded in death by his brothers, J.T., Danny, and Johnny Lockard. Jack is survived by his loving wife, Nila (Sanders) Lockard; children, Deana Lockman (Matt), Jack Lee Lockard, Jr. (Keysha), Nikiea Jones, Tahnema Alvey, and Logan Alvey; siblings, Sharry Bates (Eddie), Debbie Gardner (Charlie), Linda White (Jimmy), Alan Lockard, and Betty Villier (Davey); grandchildren, Shelby, Connor, Conner, Isaiah, Eli, and Reece. A Celebration of Life will be on Saturday, December 29, 2018, from 1:00 p.m. to 4:00 p.m. at Patoka Lake. Cremation was chosen following Jack’s wishes. Please consider sharing a memory of Jack or leaving a special message for his family by clicking the "Share Memories" button above. 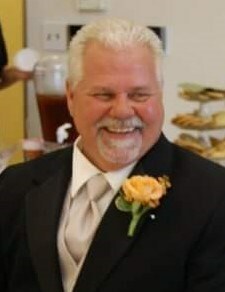 Add your memories to the guest book of Jack Lockard, Sr.. I known you for many years. but I've known your heart for a lifetime ! so many good years at Holland Motor Freight your journey on this Earth as we know it.. You have just parked your tractor trailer for the last time. Pop I love you. You were an amazing man and so caring. You will forever be remembered and missed. I’ll never forget the many fishing trips Lee and I shared with you. The laughs, the snacks and me getting so frustrated because I never could fish as good as you two. Your son is incredible. He’s just like you. Thank you for welcoming me in to your family, loving me and supporting us. You are definitely one of a kind! So much about you will be cherished. We love you. He was always kind and had a smile for us!